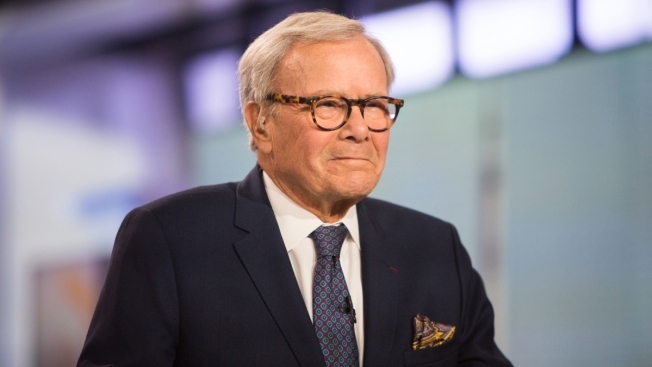 A file photo of Tom Brokaw on Friday, April 6, 2018. The web site Latino Rebels and its founder, Julio Ricardo Varela, pointed out online that a 2015 Pew Research Center survey found that nearly two-thirds of Latinos in the United States were born in the U.S. Hispanics make up 18 percent of the nation's population. That study showed English proficiency among U.S. born Hispanics ages 5 and older had grown to 89.7 percent, up from 71.9 percent in 1980. An NBC News spokesperson told NBC News reporter Stephanie Gosk on Monday that "Tom's comments were inaccurate and inappropriate, and we're glad he apologized." Brokaw added in another set of tweets later Sunday that he was "truly sorry" his comments "were offensive to many." He said he never "intended to disparage any segment of our rich, diverse society which defines who we are."